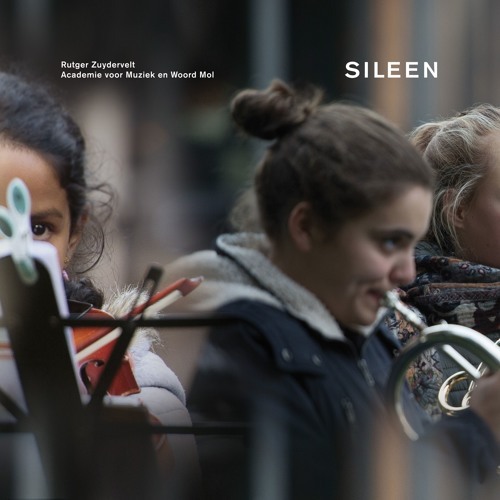 'Sileen' was composed by Rutger Zuydervelt as a commission by Musica for the festival OORtreders, 22 October 2016 (Neerpelt, Belgium). It was performed outdoors, with 50 students of the Academy for Music and Words in Mol. Performers: Romy, Britt, Lotte, Kato, Anja, Ronald, Lina, Britt, Jens, Elien, Aïsha, Nomie, Michelle, Emma, Merel, Jo, tim, Sheena, Steffi, Fien, Nele, Eline, Margot, Emiel, Marie, Jolien, Lotte, Faith, Jhuana, Sep, Ward, Sofia, Ziva, Tuana, Marthe, Eefje, Lies, Charlize, Zarah, Tinne, Muriël, Barthel, Angelie, Adia, Robbe, Annelies, Joost and Rutger. Recorded by Sharon Stewart and Ricardo Huisman https://soundcloud.com/sharonrstewart http://www.ricardohuisman.com/ Thanks to Bianca Van Roosbroeck, Esther Urseum, Gilles Helsen, Sharon Stewart and Ricardo Huisman. Photo by Marc Ras.